Cardiff City travel to Goodison Park tomorrow afternoon in a Premier League encounter against Marco Silva’s Everton which could potentially witness Neil Warnock’s side escape out of the relegation zone. The Bluebirds, who are currently eighteenth in the Premier League, have taken six points from their last five league games. Cardiff City have also scored seven goals and conceded nine in their last five Premier League encounters. Furthermore, Cardiff City have secured eight points in 12 Premier League games this term with the South Wales club scoring a goal every 98 minutes on average in the current campaign, whilst conceding a goal every 43 minutes in 2018/2019. Meanwhile, however, Cardiff City’s last away win against Everton came on December 11, 1926 courtesy of a 1-0 victory courtesy of a Hughie Ferguson goal which settled the differences. Bluebirds midfielder, Callum Paterson, has been among the catalysts for the club this term with three goals from 13 shot attempts this season; Patterson also leads in aerial duels for The Bluebirds in 2018/2019. The 24-year-old Scottish midfielder has also registered 54% of his shots on target this season in the Premier League. Moreover, Ivorian defender, Sol Bamba, has netted twice this term from 12 shot attempts and has also registered one assist. Bamba also statistically leads Cardiff City in clearances this season (77), tackles won (24) and is presently third in aerial duels for the Bluebirds in addition. Elsewhere, Josh Murphy (two goals), Bobby Reid (one goal and one assist), Víctor Camarasa (one goal and one assist) have slowly but surely started to find their form after Cardiff City’s slight improvements in their last six league encounters. However, the Bluebirds defensively have struggled (joint second with Sean Dyche’s Burnley in goals conceded in the Premier League in 2018/2019). Bruno Ecuele Manga currently leads in interceptions (27) this season for Cardiff City and is currently third in clearances (57) for the club, as well as third in tackles (23). 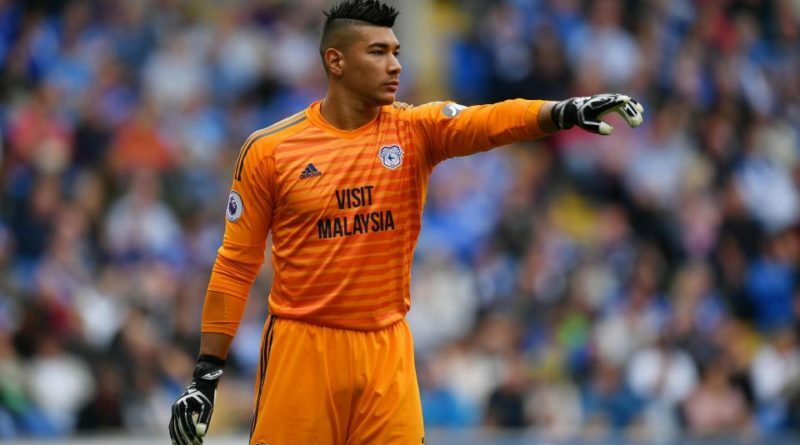 Moreover, Cardiff City goalkeeper, Neil Etheridge, the first-ever Filipino in history to play in the Premier League, has kept three cleans sheets this term having played every single minute from all of The Bluebirds Premier League fixtures in 2018/2019. Etheridge has also completed 36% of passes in 2018/2019. Following the Bluebirds Premier League game away against Everton at Goodison Park tomorrow afternoon, Cardiff City then subsequently face Wolves (November 30), West Ham United (December 4), Southampton (December 8), Watford (December 15), Manchester United (December 22) and Crystal Palace (December 26) in their following six Premier League fixtures. 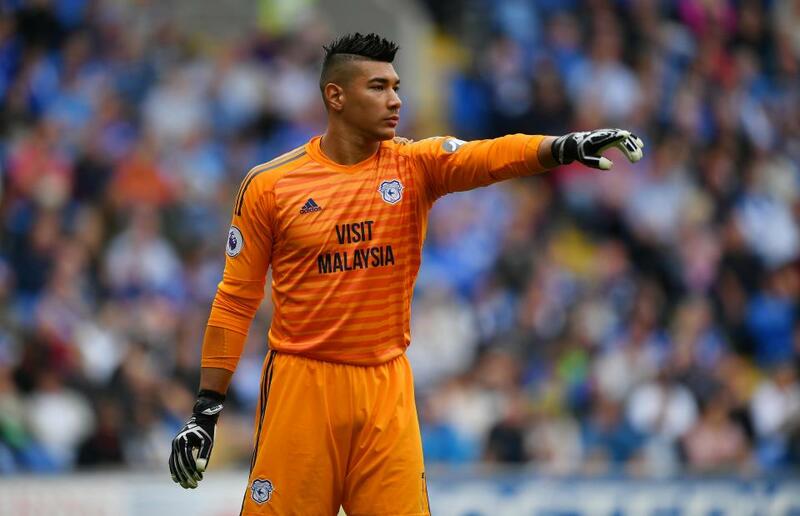 FOX Sports 96.9 FM/1340 AM’s Dean Perretta briefly caught up with Cardiff City and The Philippines national team goalkeeper, Neil Etheridge, to discuss Cardiff City’s progression this season in the Premier League, Sven-Goran Eriksson’s recent appointment as manager of The Philippines national team, as well as his thoughts playing under Neil Warnock. Dean Perretta: Firstly Neil, what are the main goals and ambitions for Cardiff City this season? Neil Etheridge: I think that our target now is exactly what it was at the start of the season. The boys are still upbeat, we’ve got points on the board and we know that over the Christmas period leading into January is a very crucial time for us. 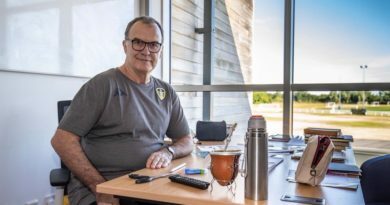 The boys are positive, and we believe that we’ve got enough in our dressing room and a manager (Neil Warnock) to keep us in the Premier League. Dean Perretta: Neil Warnock’s man management and acumen within the transfer market played an instrumental role in steering The Bluebirds back into the Premier League. What are your thoughts on the manager’s philosophy and tactical approach? Neil Etheridge: He’s [Neil Warnock] been a very honest manager, from when I walked in the door 18 months ago. He’s been a great man manager, too. We know he’s going to take a look at the squad come January, but it’s up to the boys to show what they can do before the transfer window opens. Competition for places and squad depth is good and will give us strength going into the second half of the season. Dean Perretta: Elsewhere, The Philippines make their AFC Asian Cup debut in January. What does qualification for the tournament and, of course, the appointment of Sven-Goran Eriksson as national team manager mean for Filipino football? Neil Etheridge: The Manager [Sven-Goran Eriksson] has done really well; we are currently in the South East Asian Competition and doing very well, needing only one more point to qualify through to the semi-finals. He’s [Sven-Goran Eriksson] only had a short period of time with us but he’s done extremely well, and all credit to him along with his backroom staff Scott Cooper and Chris Greatwich. Leading into the Asian Cup we know it’s going to be tough. It’ll be a massive challenge for us; we’re a much smaller nation in comparison to the rest but we’re going there with high hopes, and we’re going there to hopefully upset some people. Dean Perretta: Can you talk about Cardiff City’s popularity and mainstream coverage in the Filipino media courtesy of blazing a trail as the first-ever Filipino to play in the Premier League? Neil Etheridge: The Filipino and South East Asian media have taken to it really well. There’s a lot more interest now, [in relation to] Cardiff City especially. The Premier League is watched worldwide but I believe myself playing in the Premier League as a South East Asian player there is a lot more interest in Cardiff City especially, and with it a lot more support. It’s fantastic for myself and the club, and long may it continue. Dean Perretta: Finally Neil, what are the long-term plans for Cardiff City beyond this season? Neil Etheridge: The hope for any team that has been promoted from the Championship is to stay in the Premier League. There are a lot of teams around us and we know it’s going to be tough; there’s almost a little mini-league down there! We know we need to come out at our best and come out on top of that to stay in the league. For the moment at the club as players for Cardiff City we know it’s all about staying in the Premier League and surviving. It’s not an easy league to stay in, but [if we can] then for the season after we’ve got to build further and keep ourselves in the Premier League for a longer period of time. We’re taking it step by step at the moment. 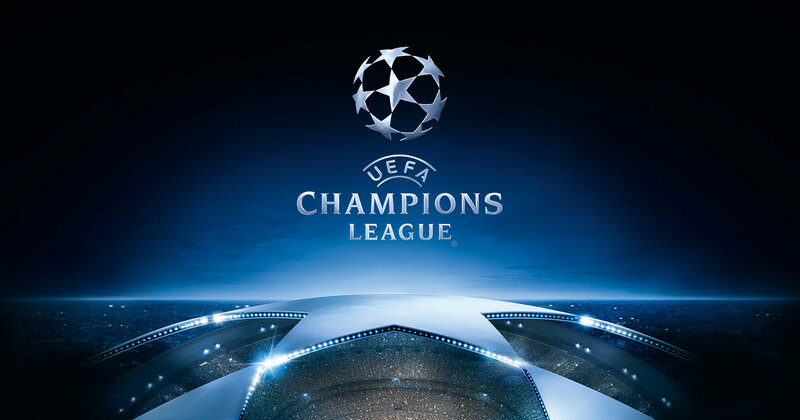 We are fully concentrating on this season and hopefully we’ll be staying in this league for next season so that we have that time to build over the summer.